It's pretty remarkable to think, yes these ads happened. 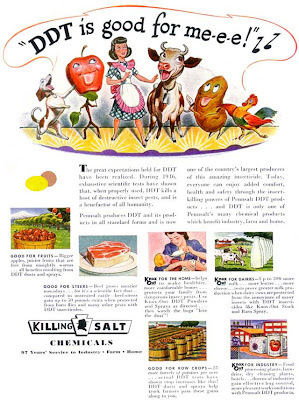 A recent article by Collectors Weekly called What Were We Thinking? The Top 10 Most Dangerous Ads showcases some of these vintage examples. 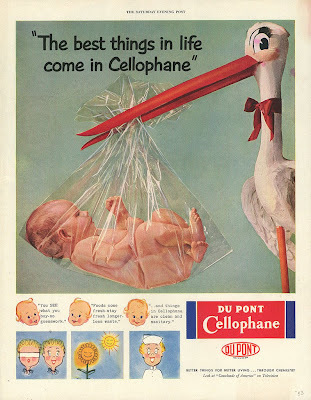 They are classics like, the 1950's Du Pont magazine ad where it displays a baby in a cellophane bag with the headline "The best things in life come in Cellophane." 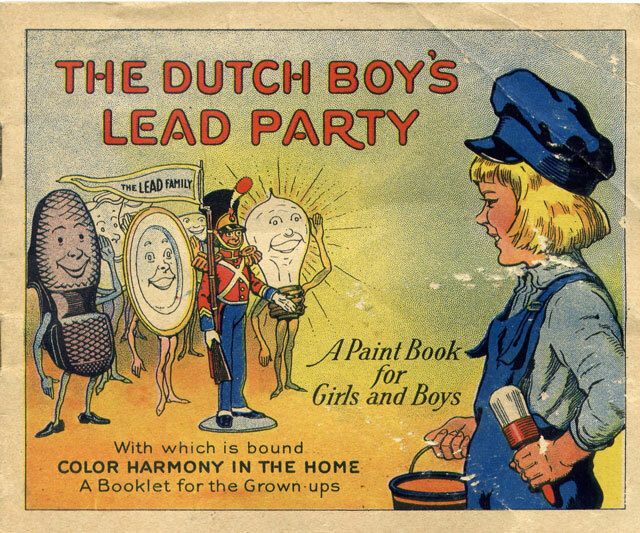 But wait, let's not forget the 1923 Dutch Boy brochure which promotes children to play with lead or the 1947 ad that claims DDT is good for me-e-e! Oh, the good ol' days.